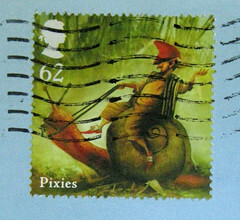 This is a fabulous Sendsomething postcard from Margaret, which arrived the first week in January. 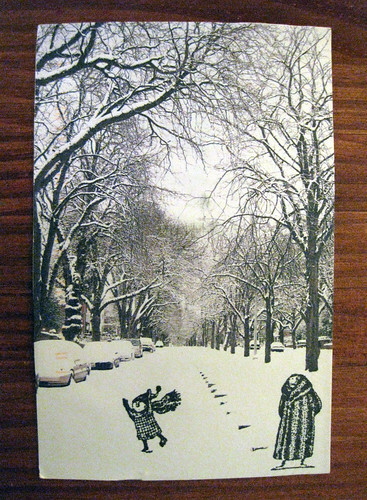 She took this photo of her street in snow, and then stamped the Gorey people on it. Awesome!! I had to do a double-take when I first got it to figure out that she had taken the photo herself and then stamped on it.